Adam D'Angelo is an American internet entrepreneur of Italian descent. He is best known as the co-founder and CEO of Quora, based in Mountain View, California. He was chief technology officer of Facebook, and also served as its vice president of engineering, until 2008. In June 2009, he started Quora. He is a member of the board of directors of OpenAI, and an investor in internet companies. Adam D'Angelo attended Phillips Exeter Academy for high school. There, he developed the Synapse Media Player (a music suggestion software) along with Mark Zuckerberg and others. In 2002, he attended California Institute of Technology, where he graduated with a B.S. in Computer Science. In 2003, while attending college, D'Angelo also created the website BuddyZoo, which allowed users to upload their AIM buddy list and compare them with those of other users. The service also generated graphs based on the buddy lists. In 2001, he was placed eighth at the USA Computing Olympiad as a high school student and he got a silver medal at the 2002 International Olympiad in Informatics. ACM International Collegiate Programming Contest (ICPC): California Institute of Technology Beavers (team of 3), World Finalists 2003, 2004; North American Champions 2003; World Finals Silver Medals 2004; World Finals co-coach 2005. In 2005, he was one of the top 24 finalists in the Algorithm Coding Competition of the Topcoder Collegiate Challenge. D'Angelo was an advisor to and investor in Instagram before its acquisition by Facebook in 2012. In 2018, he joined the board of directors of OpenAI. Fortune magazine included D'Angelo as runner-up in its "Smartest people in tech" article. 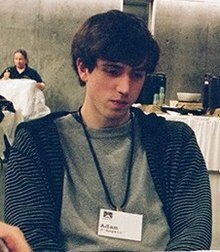 ^ a b "Adam D'Angelo - Founder & CEO @ Quora - Personal Investments - Crunchbase". ^ Eldon, Eric (May 11, 2008). "Facebook CTO Adam D'Angelo to leave the company". VentureBeat. Retrieved 2011-08-12. ^ Feeney, Kevin J. (February 24, 2005). "Business, Casual". The Harvard Crimson. Retrieved 2011-08-12. ^ Rivlin, Gary (April 28, 2011). "Does Quora Really Have All the Answers?". Wired. Retrieved 2011-08-12. ^ a b "Adam D'Angelo on Twitter". , "Sam Altman on Twitter". , "Ilya Sutskever on Twitter". ^ a b David Kirkpatrick (2010). The Facebook Effect. pp. 26–27. ^ "BuddyZoo". Archived from the original on October 28, 2003. Retrieved 2003-10-28. ^ "Exeter Olympians". Exeter Bulletin. Retrieved 2011-08-12. ^ "Standings for The 2003 ACM Programming Contest World Finals". Retrieved 2014-06-20. ^ "Standings for The 2004 ACM Programming Contest World Finals". Retrieved 2014-06-20. ^ "Instagram Founders Were Helped by Bay Area Connections - The New York Times". ^ Hempel, Jessi; Kowitt, Beth; Mangalindan, JP (July 9, 2010). "The smartest people in tech - Engineer runners-up: Cheever and D'Angelo (22)". Fortune Magazine. CNN. Archived from the original on 2010-09-12. Retrieved 2010-10-10. Wikimedia Commons has media related to Adam D'Angelo. This page was last edited on 24 March 2019, at 08:05 (UTC).